I was able to attend a living history event at Stones River recently and was able to observe the firing of a six gun Federal battery. It was great see see the crews in action and hear the roar of all six guns firing! I knew two of the gunners and after the event me and my family were invited to done some period coats and take some up close and personal pictures with the guns! It was a great experience and a huge "thank you" is definitely owed them! The crews preparing to fire and stop the Rebel assault at Stones River! horse artillery? 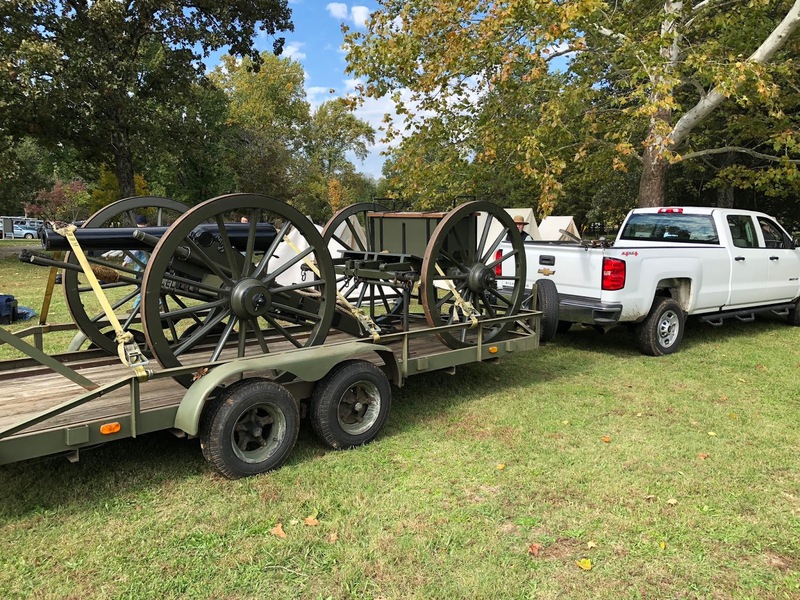 It was fun loading up the guns and caissons. I've always been drawn more to the earlier napoleonic battles like Valmy, Marengo and Egypt. 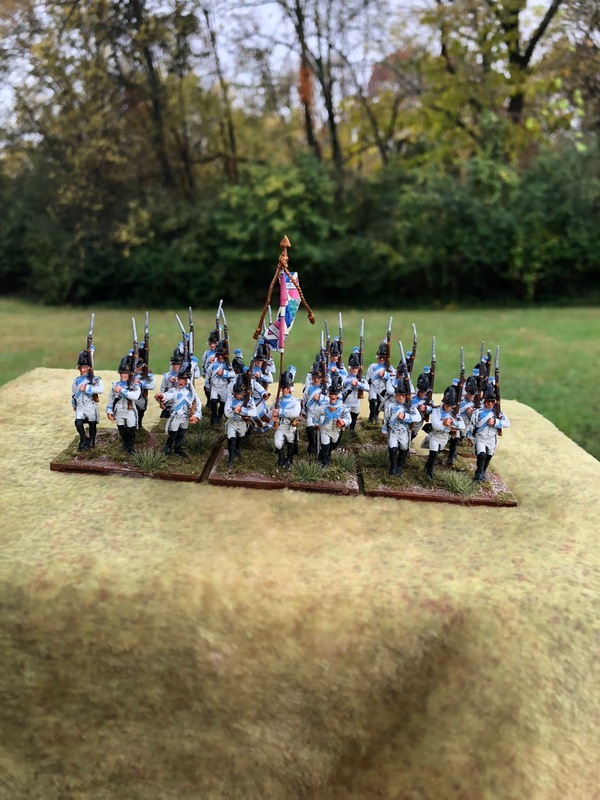 "Revolutionary Armies" did a kickstarter not too long ago for Revolutionary French and I picked up a couple units! Here is my first painted unit - the 42nd line. 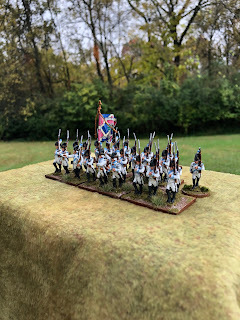 They are only painted to wargames standard, but they are great sculpts from Michael Percy (Three Armies) and I think the white uniforms really make them pop! 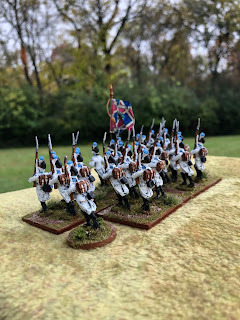 I'm looking forward to painting more and playing out Valmy on the table top! 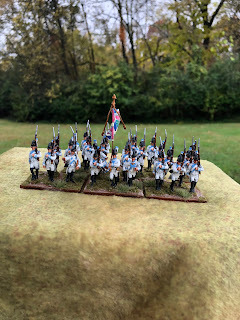 Anybody else out there interested in early napoleonics? This is the most recent climatic battle from our internet gaming campaign group! Some of you might also find it interesting. Thank you to Brett Kvisle and his group for setting up and playing this game and the excellent AAR! My apologies for getting this out late! 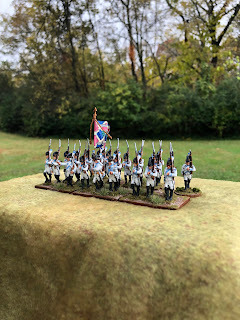 Narrative - the CSA Army under Hood, running low on supplies, made a gallant assault on Fortress Rosecrans near Murfreesboro, TN. The fort was well armed with heavy cannon, abatis, ditches, and 25' earthen walls, but not many men. There was definitely a chance of success for the Rebs but they knew if would be a costly undertaking! The Assault on Fortress Rosecrans December 3rd, 1864- These unit stats are for brigade Fire and Fury. Confederate Losses – 26 bases of infantry, 4 bases of cavalry, 1 gun destroyed and 3 guns damaged. A heavy blow to The Lost Cause. Please Note: A destroyed Union gun in the fort can be replaced in 3 turns (lots of equipment) if no enemy troops are within 4”. Deploy Federals first – they may deploy anywhere within the fortress. Victory Conditions – Union wins if Confederates fail to occupy the fortress by 4.30pm (sunset). If they have troops within the fortress by 4.30pm then the game can continue until 10.00pm using night rules. If at any point the Confederates incur 30%+ total army casualties then they must retire. Deployment - Confederates come onto the table once the Union has set up. 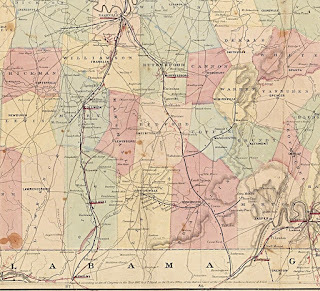 Cheatham enters anywhere on the Eastern edge and Forrest anywhere on the Northern edge. Attack starts at dawn (7.00am) and ends at dusk 4.30pm if the Confederates are not inside the Fortress. If they are then the battle can continue in the dark until 10.00pm. If the Confederates incur 30% total casualties they must retire. Please Note: After 2 hours from the first shot fired by the Confederate artillery they start to run out of ammunition. Turns 1-4 normal, turns 5-6 half fire points, turns 7-8 one third fire points, turns 9-10 one quarter fire points, turns 11 onwards no ammo. 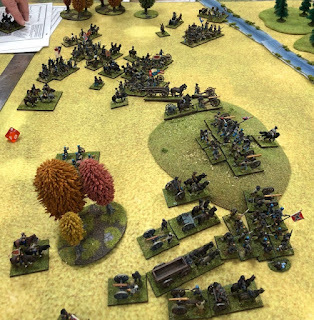 2.00 – to games end Confederate artillery is out of ammo except for cannister. I was to play in the event of even numbers but umpire in the event we had an odd number of players. 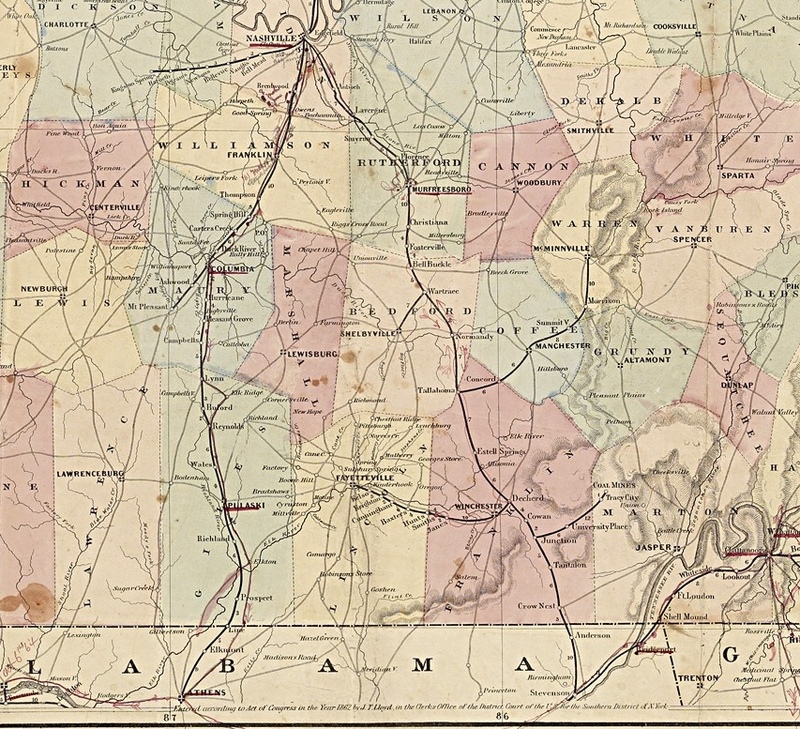 The Union Army was tasked with holding Fortress Rosecrans. They did not have a lot to fight with but were protected by a -3 for cover and a +3 for protection in hand to hand. The Confederates cannot count the outnumbered factor in the hand to hand while attacking the fort and are disordered the whole time that they are between the abatis and the fortress walls because of the difficulty of crossing the abatis and then the ditch and then climbing up to the fortress walls. The Union set up first. They were permitted to set up their infantry with 2” distance between the stands (extended line). This meant defending the entire fortress walls to cover all possible assault points. The Confederates advanced with their infantry just behind their artillery and just out of an effective bombardment range from the Union guns. 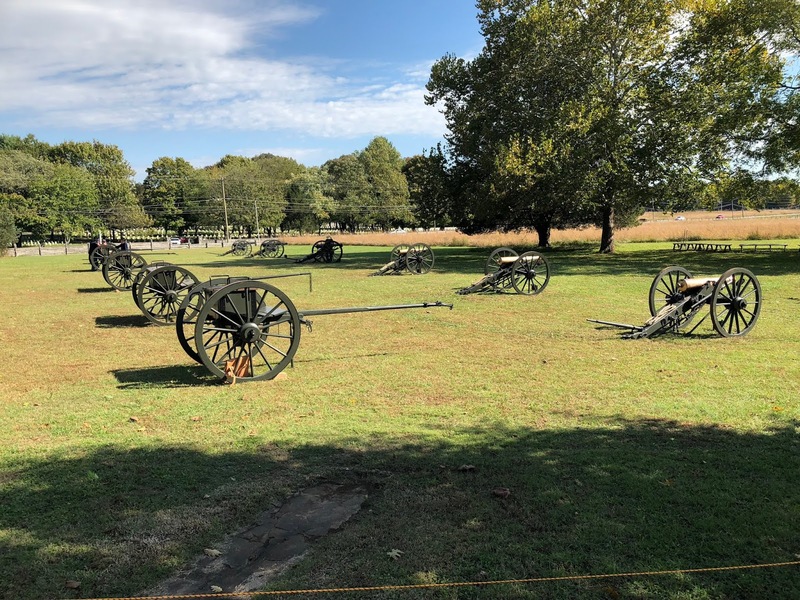 The Confederates massed their artillery and concentrated their fire on Lunette Granger and Lunette Cittenden until they managed to damage both heavy guns in those Lunettes. Then the Confederate infantry surged forward. 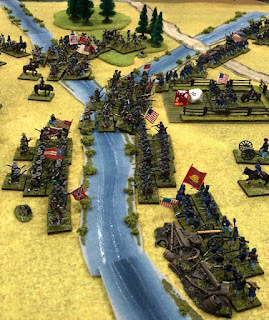 7 Confederate brigades managed to cross the abatis with a number ready to cross in the next turn. It was extremely difficult for the Confederates to attack the Lunettes because once they crossed the abatis they were disordered until they managed to defeat the defenders and cross the walls into the fortress. 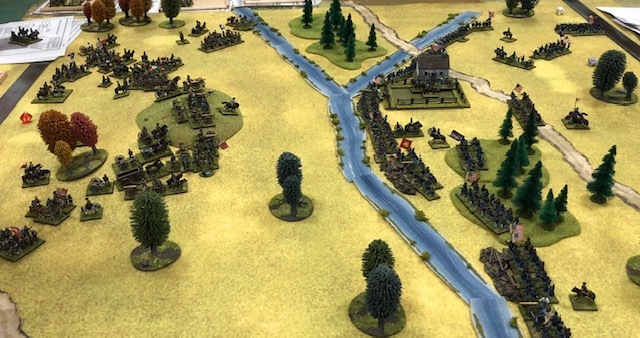 Given that the move was on a ratio of 4:1 between the abatis and the fortress walls it meant that the Confederates could only manage 4” per turn on a good throw. It took most Confederate brigades 2-3 turns to cover the gap between the abatis and the walls. Combined with the occasional bad throw meant that some brigades took even longer. 3 brigades which were down to 2 bases each actually threw so poorly when they were spent that they quit the field. This was the first assault on a fortress that I had ever defended against and the first time that Steve had ever commanded an assault. Needless to say it needs to be extremely well planned and executed. The Confederates managed to damage the heavy guns in Lunette Grainger and Lunette Crittenden. I thought it was going to be easy for the Confederates but then they crossed the abatis and masked their guns. 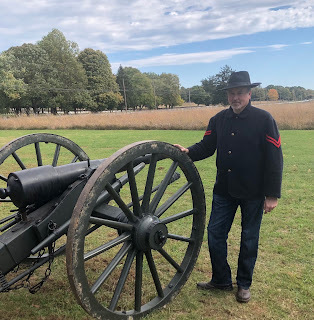 Then it became difficult to get to grips with the Union troops who were protected by a +3 defensive factor and a -3 shooting factor for the Confederates. The difficulty of crossing the area between the abatis and the walls meant that the Confederate attack was going in piecemeal which made it easier to defend against. 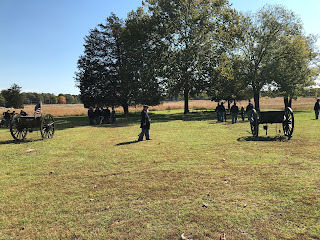 The Confederate brigade that successfully stormed Lunette Grainger should have consolidated its position by going into line and firing into the flanks of the Union defenders. 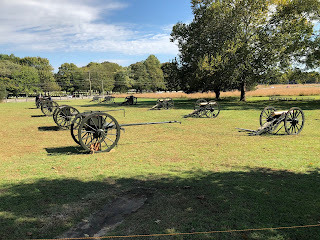 This would have caused the defenders to turn their attention inwards and so helping the Confederates to cross the gap. However, buoyed by their initial success they charged out of the Lunette and smashed a Union brigade. 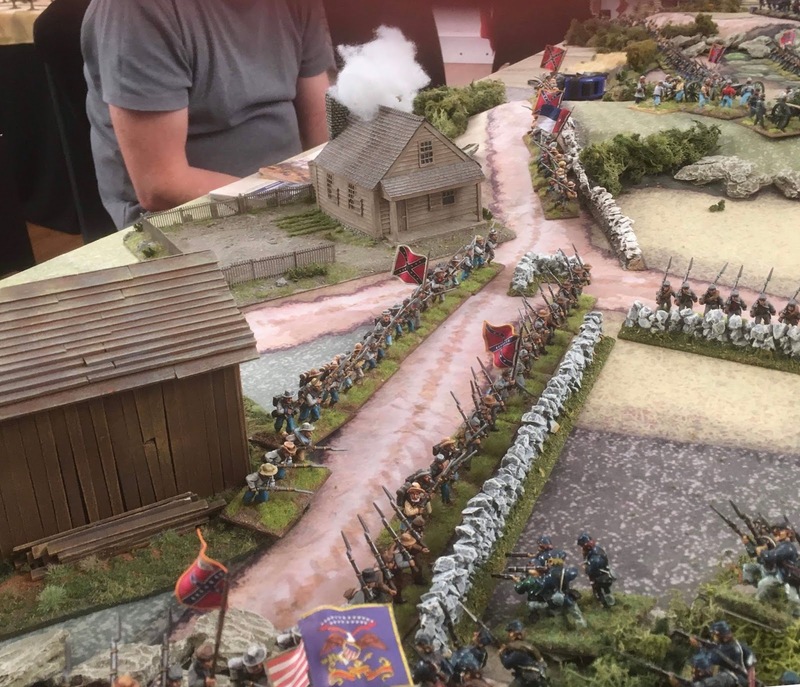 However, this in turn gave the Union defenders the opportunity to turn their attention on this brigade and killed 3 of it’s 5 bases. The Confederates had just managed to take Lunette Grainger and then they hit the 30% casualty figure (not including artillery). As we did not know whether the artillery should be included or not we decided that we should finish the Confederate turn. A number of poor throws saw 3 spent brigades quit the field on the last turn, then exceeding the 30% threshold.